Kathleen DeMarco Van Cleve is a novelist, screenwriter, film producer and teacher. Her screenplay, Fugly, co-written with John Leguizamo, and starring Leguizamo, Rosie Perez, Griffin Dunne and Radha Mitchell, finished filming early October 2010 in New York City. Her most recent novel, Drizzle, was published in March 2010 under her married name, Kathleen Van Cleve, and received starred reviews from Publisher's Weekly and The Bulletin for the Center of Children's Books, and was named to Indiebound's KidsNext Spring 2010 list. She has produced the films Joe the King, (winner of the Waldo Salt Screenwriting Award at the 1999 Sundance Film Festival), Pinero, (a Miramax release starring Benjamin Bratt) and Undefeated (an HBO film starring Leguizamo). Her other novels are Cranberry Queen (optioned by Miramax Films) and The Difference Between You and Me. She graduated with a dual degree from the Wharton School and the College of Arts & Sciences in 1988. 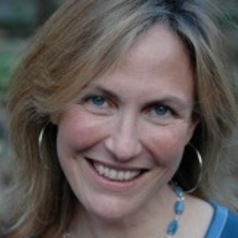 She has been a consultant for NYU's Tisch School of the Arts M.F.A. dramatic writing program as well as for Tisch's undergraduate dramatic writing candidates. She lives with her husband and two young sons in Philadelphia.